Despite low approval ratings for the ruling party, South Korea’s opposition didn’t fare well in by-elections. The more things change politically in South Korea, the more they stay the same. Despite rock bottom approval ratings for Park Geun-hye’s administration and the ongoing bribery scandal, the main opposition party New Politics Alliance for Democracy (NPAD) could not capitalize at the ballot box in the April 29 by-elections. In two of the four constituencies in contention where liberal candidates have historically fared well – Gwanak-B (Seoul) and Seo-B (Gwangju) – the NPAD candidate lost. In Gwanak, Saenuri candidate Oh Shin-hwan defeated NPAD candidate Chung Dae-ho, and in Gwangju NPAD candidate Cho Young-taek lost to independent candidate Cheon Jung-bae. Indeed, at least one race seems directly tied to schisms in the NPAD. “If Chung Dong-young’s goal was to split the left wing vote in Gwanak, with 21% he succeeded,” tweeted Christopher Green. Chung was a former United New Democratic Party candidate for president and a high-profile NPAD defector. His defection and the political consequence for the opposition party is a familiar scene. Since democratic transition, split tickets have been a major source of electoral woes for South Korea’s liberal political parties. The Saenuri victory in Gwanak-B marks the first time in 27 years a conservative lawmaker will represent this constituency. 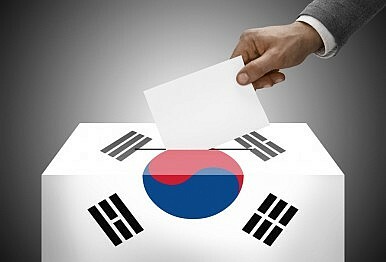 As some have noted, the ruling Saenuri has shown that it can woo otherwise opposition-friendly voters “with its economic pledges.” Certainly economics overcame regionalism and propelled Saenuri lawmaker Lee Jung-hyun to a somewhat unexpected electoral victory last year in South Jeolla (the first time in 26 years that a conservative party candidate was elected in the province). Are the election results a harbinger of things to come for liberal party politics? So long as the opposition party remains mired in factional politics and continues to struggle to connect with a changing electorate, the answer is yes. Ultimately the real losers might not be the liberal party but the South Korean people. The most recent by-elections show, among other things, that many voters feel as if they haven’t a viable alternative to the ruling Saenuri. Citing "slander" and "fake news," the former UN secretary general abandons his political ambitions.